The Fun is in getting it done!!! 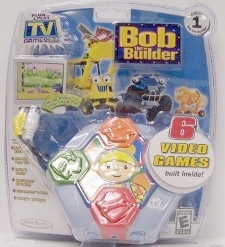 Join Bob The Builder and his team as they work, play and build in these creative and fun activities. 6 amazing video games are built inside this console. Plug it in your TV, add 4 AA batteries ( not included) and start the fun.